Gifts For Those That Have Everything! | A Quirky and Unusual Gift Guide | Christmas 2017. Sometimes shopping for Christmas gifts can be so hard when the person you're buying for seems to already have everything they need and you're left going " What on earth do I buy them this year?! " Well fear not, for I am here with a few different ideas for you to help you with this quandary! I hope you'll find something which may just make your Christmas shopping a little bit easier! Do you know someone who would love to learn to cook or wants to upgrade their knife skills and perhaps fancies themselves as the next Masterchef? Then a masterclass from the Rutland Cookery School could be the perfect gift! 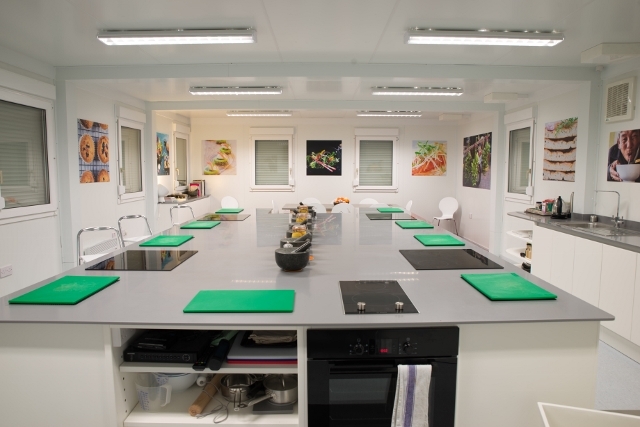 Rutland Cookery School offers full day, half day, evening demonstrations and workshops, and short courses in the evenings and during the day, so really there are course times and lengths to suit everyone. "The Rutland Cookery School has been established by acclaimed chef Robin Stewart so he can share his love of cookery and pass on tips, techniques, short cuts and insights which he has learned during his career working in professional, 5* kitchens. There is also a Chocolate Masterclass run by Graham Dunton who has been a patissier for 35 years, working in some of the most prestigious London hotels. His knowledge of how to work with chocolate is second to none and you will leave with a clearer understanding of chocolate work. Examples of what to expect include truffles, crispy coated hazelnuts, Tutti Frutti chocolate discs and ginger bark. This course is available from March 2018 and costs £99, find out more on the website. You can even buy a gift card if you're unsure of which course your intended would prefer. Cards are available from £30-£99 and are valid for six months, giving the recipient ample time to decide which course they want! The Rutland Cookery School is located in the heart of the midland region in Oakham in the county of Rutland(!) and is easily accessible by rail or by road from the A1 and the A47. Do you know someone who loves chocolate? Want to give them something more unusual than the standard box of artisan chocolates this Christmas? Then look no further than Chocolate Ecstasy Tours! Created by chocolate expert Jennifer Earle, you'll be personally escorted through the capital and learn all about London's hidden chocolate secrets and traditions with an expert guide. And of course the best bit about these tours is that you'll get to taste some delicious fine chocolates along the way - now what could be better than that? Started in 2005 by Jennifer Earle, Chocolate Ecstasy Tours offers you a taste of chocolate like never before, starting with the most delicious hot chocolate you have ever tried. Continuing on to some of the most decadent chocolatiers London has to offer, you will not only get to sample them but also be given a potted history by an expert tour guide. 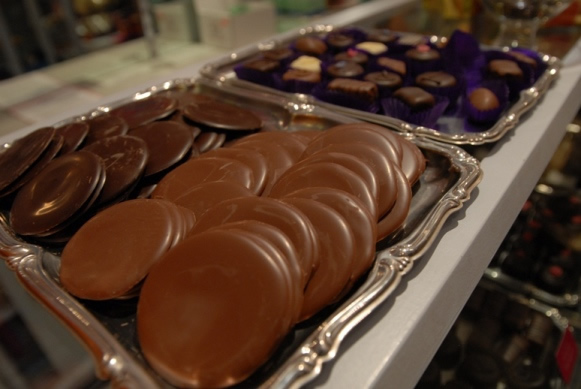 Chocolate Ecstasy Tours has a Tripadvisor Certificate of Excellence and is one of the top 30 activities in London. Tours and Golden Ticket gift certificates can be bought online. Gift vouchers can also be printed from home - perfect for those last-minute purchases! 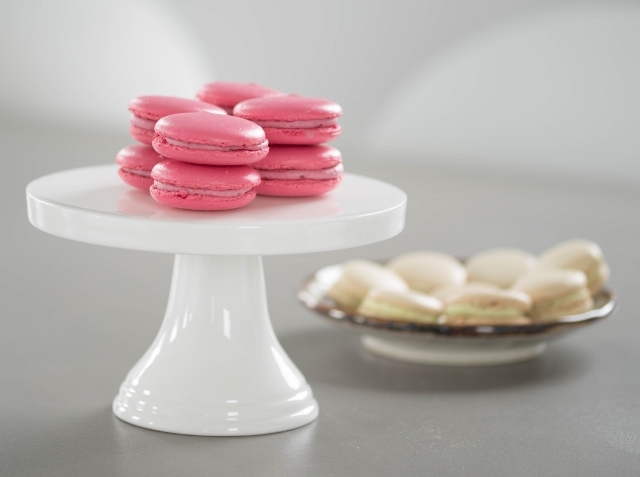 Tours cost from £39 and include the Ice Cream Tour for fans of the cold treat, Mayfair Chocolate Tour for samples beloved of the Queen and formerly of Roald Dahl; the connoisseur’s tour of Chelsea’s top chocolateries, patissiers and bakeries; and a perfect date Evening Tour that finishes with a cocktail in a secret bar. Another tour business owned and operated by Jennifer Earle, but this time you are the tour guide as you walk from place to place described in the Taste Tripper pack and stop off at some of the finest chocolatiers, artisan coffee shops and craft beer providers along the way. And the best part is that at every location shown in the pack you'll get a pre-arranged treat to taste, what could be better? Each stylishly designed Explorer Pack contains a curated map of over 100 artisan coffee shops in the City, with 8 of the very best having been chosen to partner with Taste Tripper to offer you the chance to discover the very best lattes, flat whites and cold brews. Activate the map on your phone, click redeem on site and show to a member of staff to collect your free coffee! Brilliant ay?! The packs are also full of deals and offers should you or your intended want to take home some coffee to make yourself. The packs are valid for nine months after purchase, giving you plenty of time to visit each and every one on the list! Packs of two allow each of you a coffee in every location, so double the fun! Packs for 1 person are £19.50 and £35 for a 2 person pack. London Craft Beer Explorer Pack. 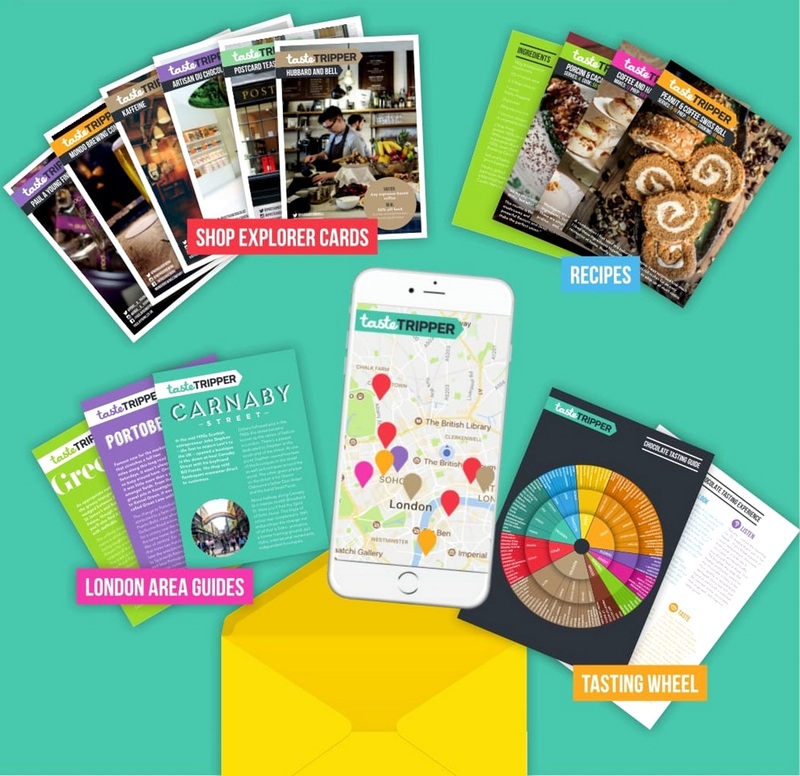 Similar to the coffee explorer pack, as in it works in the same way, this Craft Beer pack allows you the chance to discover six of the very best craft beer providers, breweries and shops that London has to offer. Perfect for the beer lover in your life who is always dragging you to the very best craft beer shops in town! At each of the chosen destinations you will either receive a half pint of beer or a flight of tasters as well as having special offers available should you want more whilst out discovering! Every pack includes a mini education on beer to understand different varieties better, plus fun London facts and a few recipes. The perfect way to start learning about London should you (or your intended) be living there or are perhaps new to the area and want a different way of touring around town other than the old red top bus! Explorer Packs for 2 mean tasters for two - double the fun! 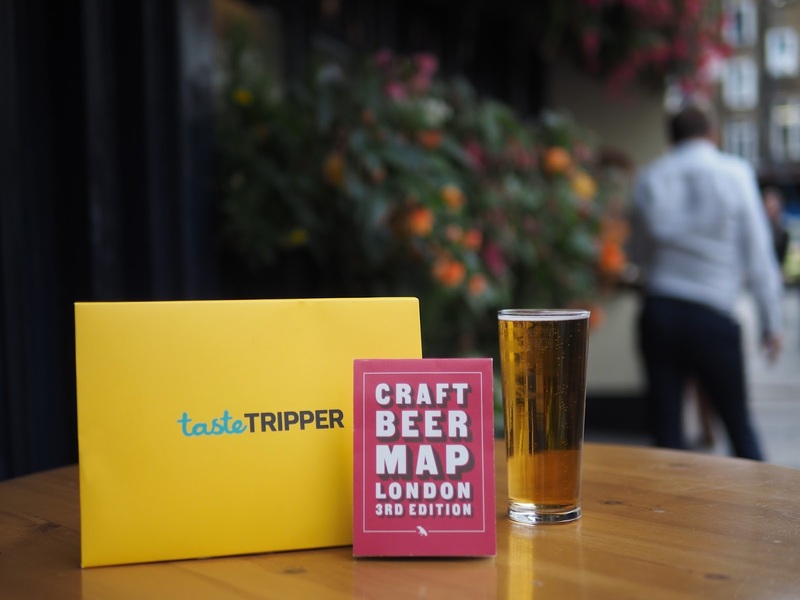 The best thing about Taste Tripper is that all the hard work of actually trying to find somewhere worth visiting has been done, so all that's left for you to do is activate the map on your phone, put your best foot forward and get ready to taste some of the best chocolate, coffee and beer London has to offer! Oh and all Explorer packs fit through the letterbox too! Basically, Bees and Co are the brand behind the company and they sell all the honey related products from artisan honey to honeycomb frames. 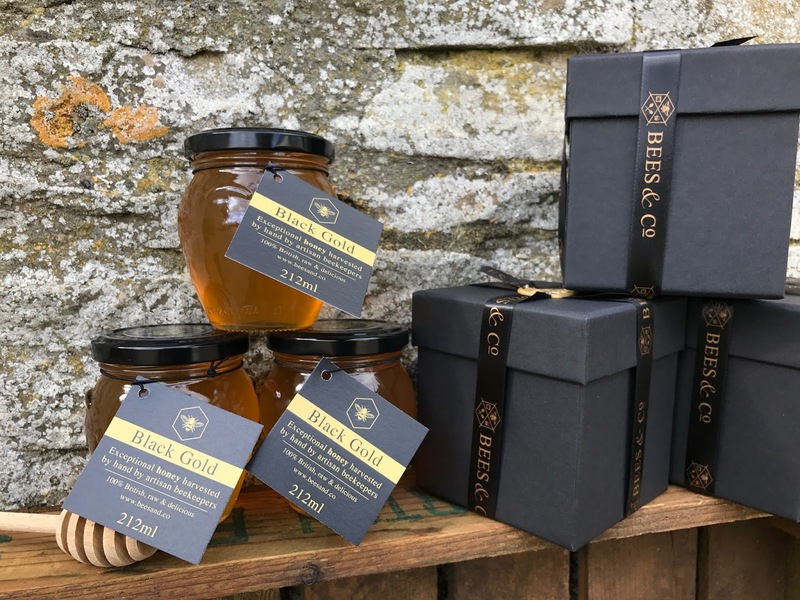 They are committed to producing only 100% raw and 100% great tasting honey with nothing added or taken away with no pasteurisation or blending. Just producing honey as it should be. Delicious! 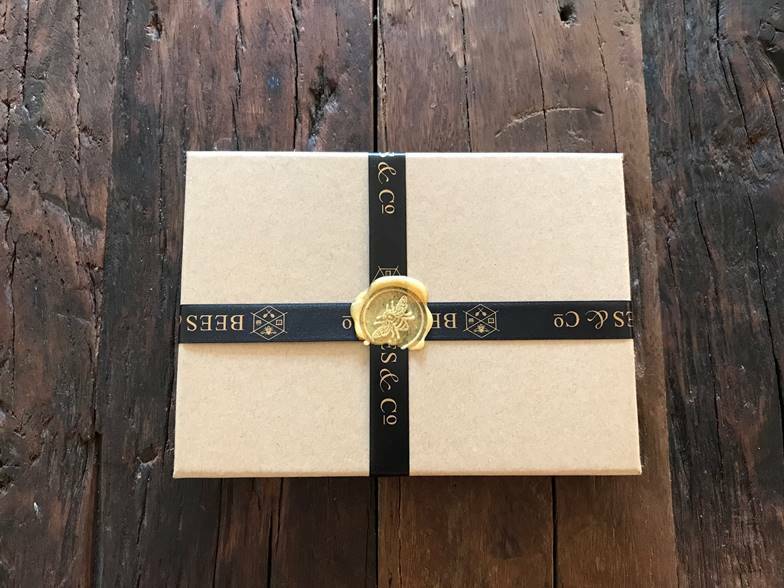 All packaged in an exclusive rustic gift box, hand tied with Bees & Co ribbon and sealed with a unique beeswax seal. The adoption plans are for a minimum of 12 months and payable annually. 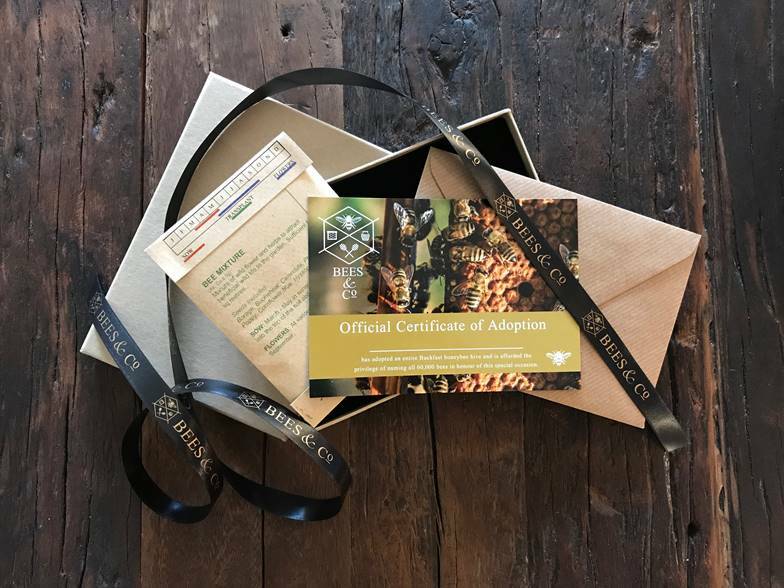 Alternatively, there’s the option to gift the Adopt a Bee Gift Pack, which allows you to buy an adoption package for just £1 per month, sponsoring one of the Buckfast honeybees. 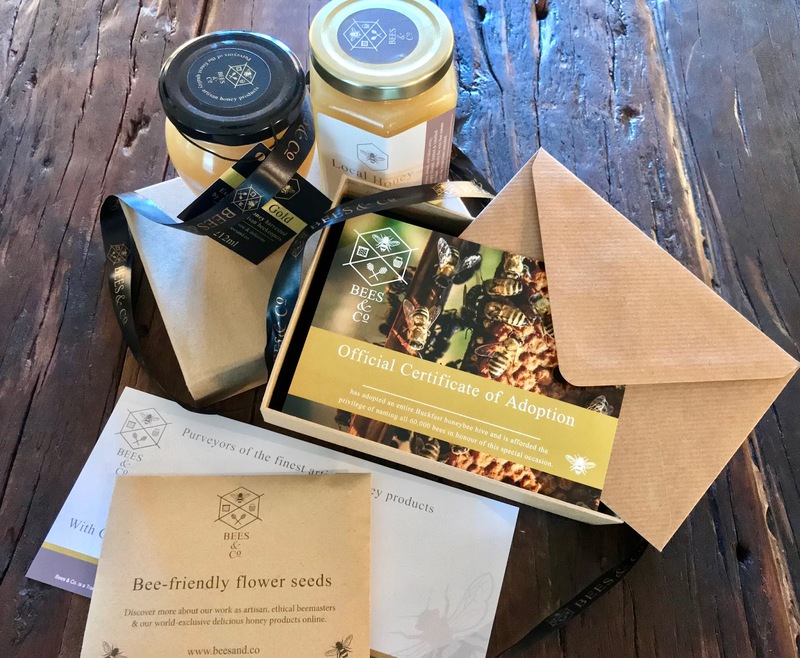 Each gift is packaged in one of Bees & Co’s exclusive rustic gift boxes, hand tied with Bees & Co ribbon and sealed with a beeswax seal, making this an unusual and thoughtful gift which also benefits the environment. 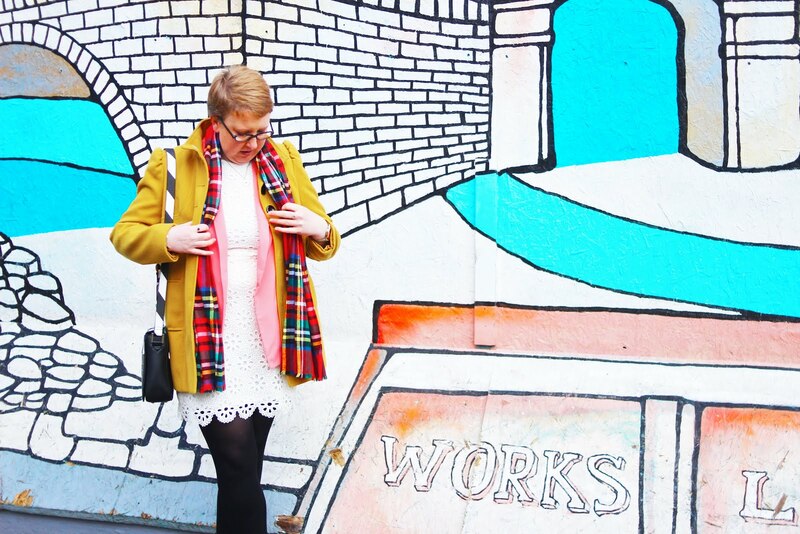 I personally LOVE having my very own hive it is definitely one of the more unusual gifts I have been lucky enough to have been given through blogging but I wouldn't change it for the world. Knowing that I am in some small way helping the British Honeybee whilst at the same time letting more people know about Bees for Business / Bees & Co makes me so happy! I do hope you check them out if you're on the hunt for the more unusual gift this Christmas! Who wouldn't want honey from their very own hive delivered to their door!? So there are just a few of the more unusual / quirky gift ideas this festive season. Sometimes it can be so difficult trying to get the perfect gift that you somehow seem to fall back on what you know they'll like because (as we all know only too well!) it's easier to do that than spend even longer trawling the shops (both high street and online) when there's enough to do already and never enough time in the day! 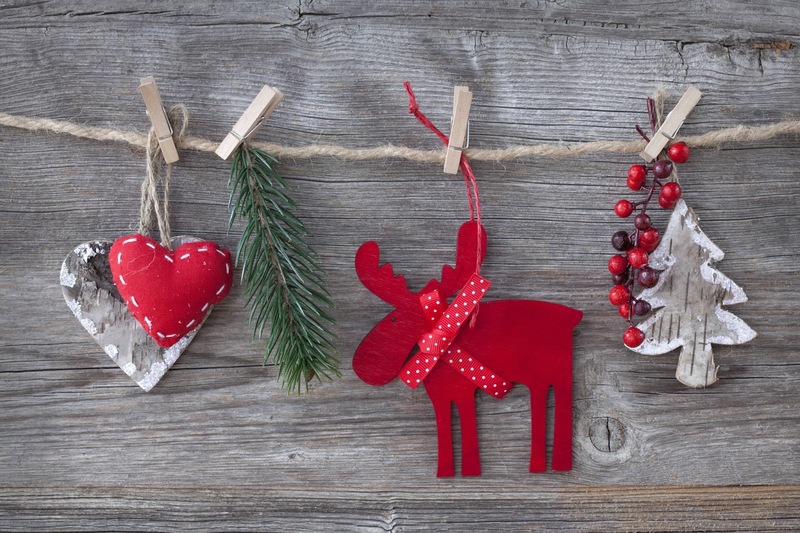 Please let me know if any of these gifts strike a chord with you? Is there anything here that you'd want to do yourself? Please leave a comment below as to which one of these you like the sound of the most! I'd love to know!